iText is a PDF library that allows you to CREATE, ADAPT, INSPECT and MAINTAIN documents in the Portable Document Format (PDF), allowing you to add PDF functionality to your software projects with ease. We even have documentation to help you get coding. We have two currently supported versions: iText 5 and iText 7. Both are available under AGPL and Commercial license. 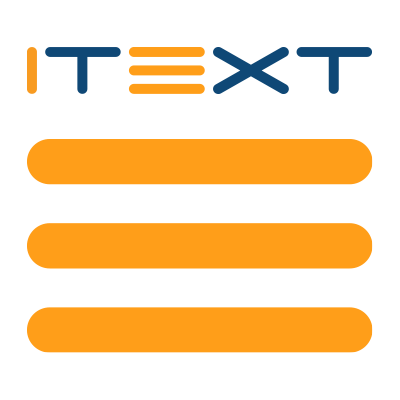 iText 5 is a one solution library that is complex, but well documented to help you create your solutions. iText 7 is a complete re-write of iText 5, allowing you to choose your adventure with add-ons, all based on a simple, modular code structure that is easy to use and well documented. iText 7 includes pdfDebug, the first debugging tool that gives you a clear overview of your content streams and document structure as well as pdfCalligraph, allowing you to leverage advanced typography. iText is available for Java, .NET in both versions, and Android and GAE for iText 5 only. iTextSharp is the .NET port of iText 5.